If you tried to start a car that's been sitting in a garage for decades, you might not expect the engine to respond. 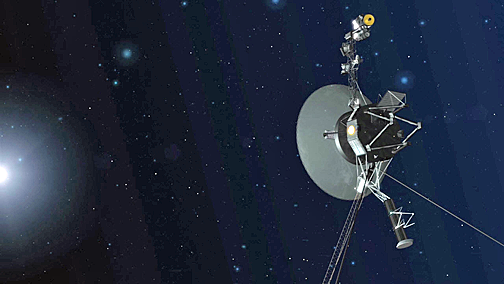 But a set of thrusters aboard the Voyager 1 spacecraft successfully fired up last Wednesday after 37 years without use. This artist concept shows NASA's twin Voyager spacecraft, celebrating 40 years of continual operation in August and September 2017. An artist concept depicting one of NASA's twin Voyager spacecraft. Humanity's farthest and longest-lived spacecraft are celebrating 40 years in August and September 2017. Image is courtesy of NASA-JPL. On Tuesday, November 28, 2017, Voyager engineers fired up the four TCM thrusters for the first time in 37 years and tested their ability to orient the spacecraft using 10 millisecond pulses. The team waited eagerly as the test results traveled through space, taking 19 hours and 35 minutes to reach an antenna in Goldstone, California, that is part of NASA's Deep Space Network. Lo and behold, on Wednesday, November 29, they learned thatthe TCM thrusters worked perfectly — and just as well as the attitude control thrusters.